No need to introduce Kew Gardens, this 121 hectare estate in the middle of London, home to the world’s largest collection of living plants and producing the finest botanical research! 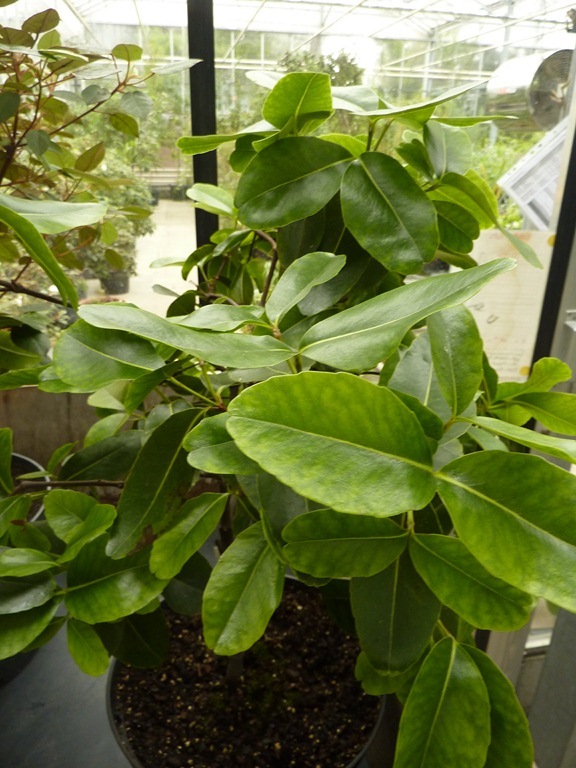 The greenhouses weren’t really “open” to the public, but Kew staff had organized a tour through the corridoors, which let us get a good glimpse of the collections! It started with an impressive display of cacti. 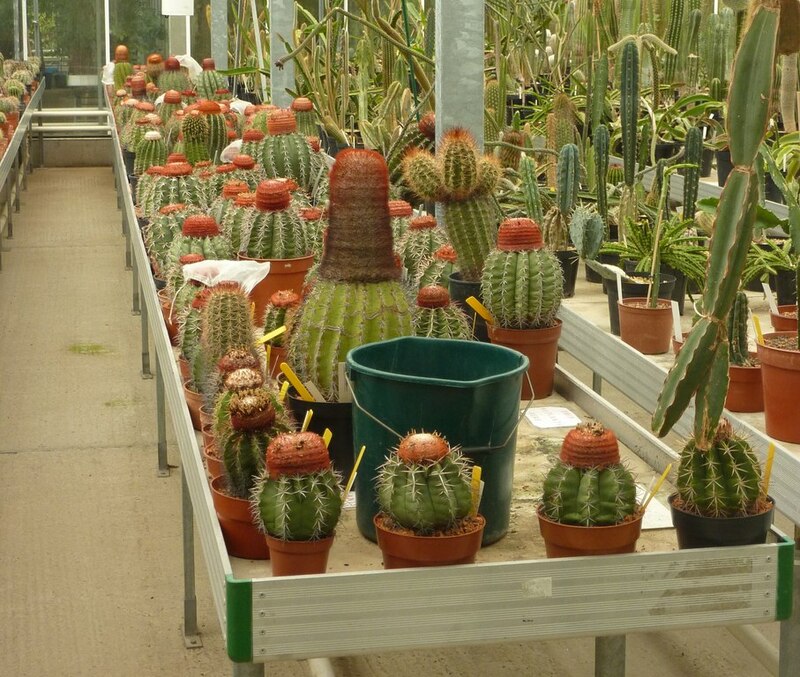 The bizarre reddish ones are all Melocactus, a genus from Central America also called Popes’ Head (you can easily guess why!). The red woolly part on top is called a cephalium, and usually bears the flowers. After cacti, we moved to the orchid department. 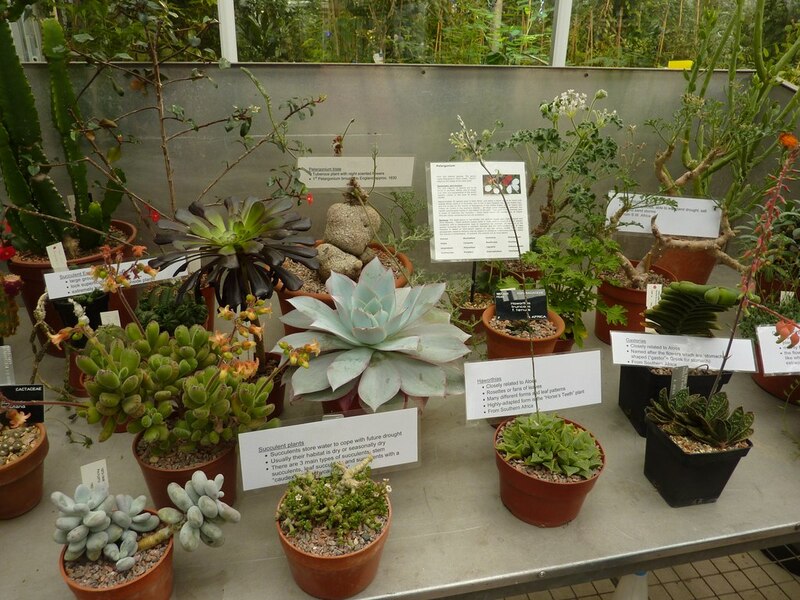 Horticulturalists had arranged clever displays by plant family or group, with particularly interesting sample plants and lots of information (and knowledgeable staff!). 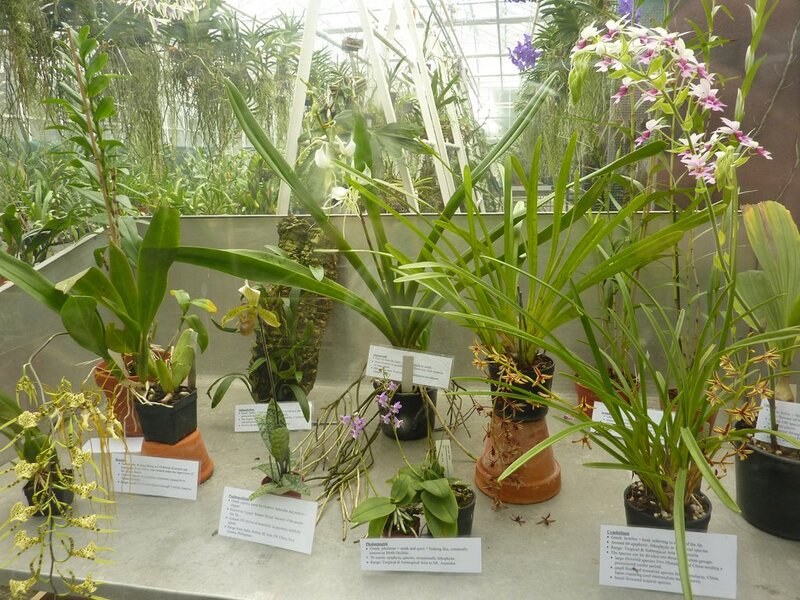 From left to right and top to bottom : the striking spider orchid (Brassia sp), a small Bulbophyllum mounted on wood bark, a beautiful Venus Slipper Orchid from Asia (Paphiopedilum), Darwin’s favourite Angraecum (a genus with a great diversity of size and shape), a Moth orchid (Phalaenopsis, probably the most common windowsill plant in the UK! 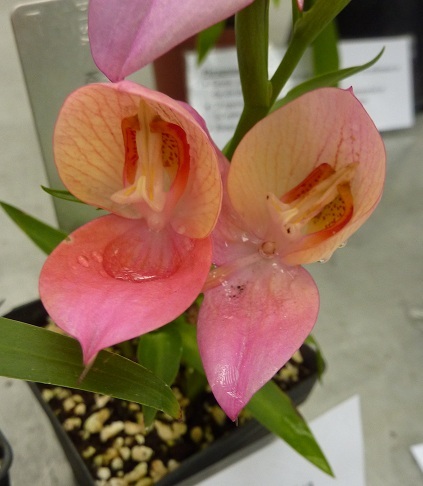 ), a Cymbidium (an Asian genus with a “boat-shaped” lower petal), and finally a pink beauty with large, fan-like leaves called Calanthe. More orchid displays with this Disa and its curious history : “thought to be named in reference to the mythical queen Disa, who came to the king’s court dressed in a fishnet, allusion to the netlike pattern on the flower of some species” ! 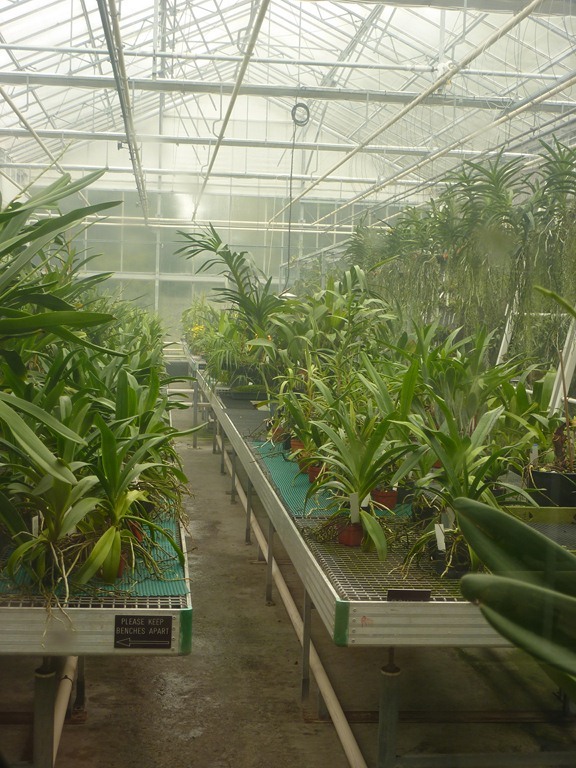 A glimpse of the orchid greenhouse….note the unsurprising mist, and hanging Vandas on the right. The next step was bromeliads. 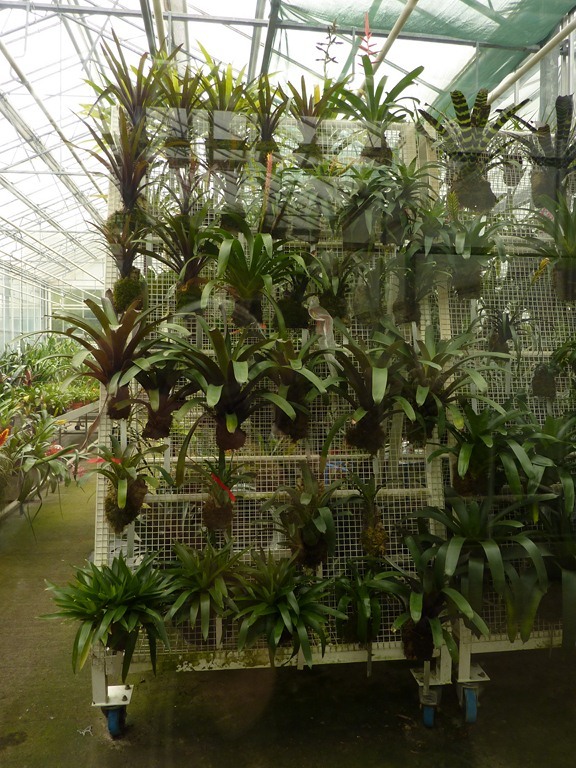 Most species are epiphytic, growing on trees and rocks, so I was wondering how they would grow them in the greenhouses! Well, the horticulturalists at Kew have found a clever, space-saving trick : they use wheeled vertical structures, where they simply hang the plants. 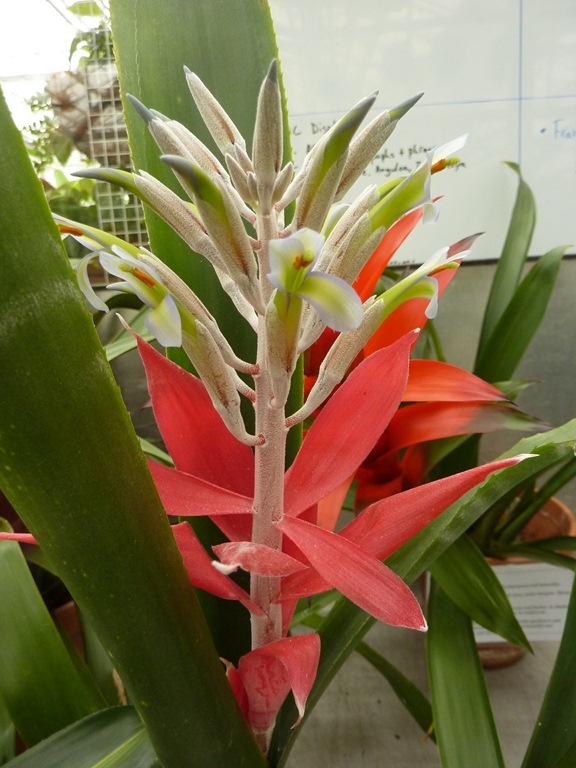 A spectacular bromeliad endemic to Brazil, Billbergia macrocalyx, with bright red bracts and bizarre pale blue petals. Another display showing representatives from major plant families : on the left, Balsaminaceae (the biggest genus being Impatiens – busy lizzies, balsams), Acanthaceae (a large family of mainly tropical, often brightly coloured plants), Marantaceae (the “prayer-plants“, tropicals often used as houseplants because of their interesting patterned foliage) and Gesneriaceae (tropical herbs including popular genera like Streptocarpus – the Cape Primrose and Saintpaulia – the African violets). 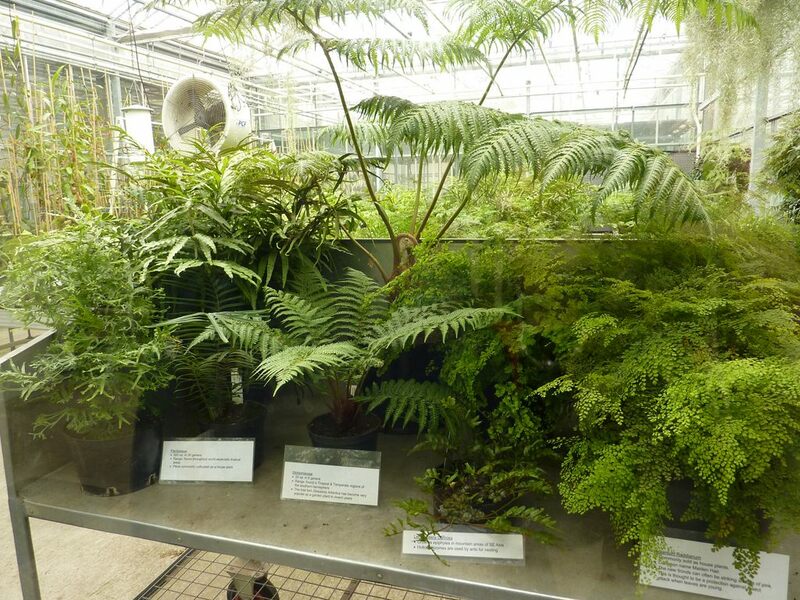 The fern display and greenhouses were certainly my favourites, because it made you realize how diversified this group of plants is, from Pteridaceae (mostly tropical, large family) to Dicksoniaceae (plants from the southern hemisphere, including the popular tree fern Dicksonia antartica) or to the delicate Adiantaceae (Maiden Hair ferns). The event was not only about plants, but also on how they actually run the greenhouses and plant propagation. One of the tables showed some of the growing media used at Kew with the recipes. 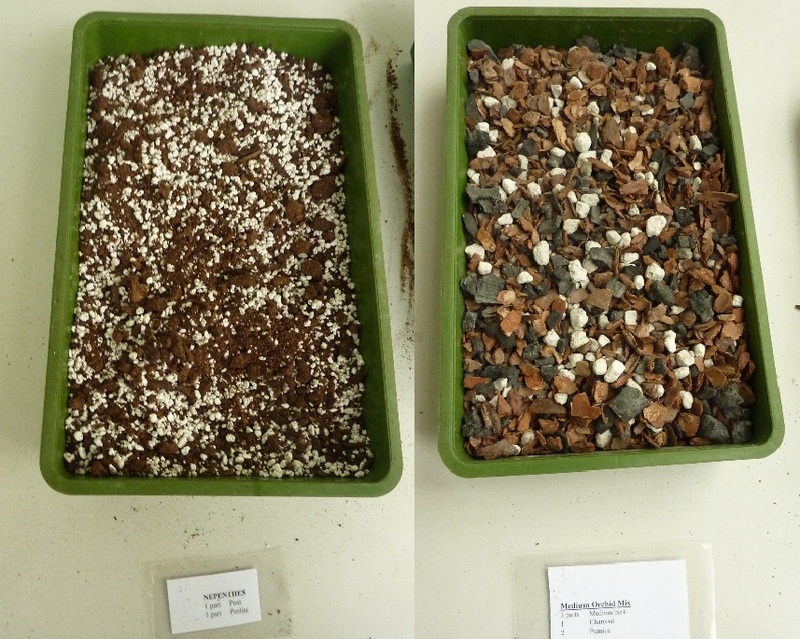 I didn’t know there was a growing media specially used for Nepenthes (1 part peat, 1 part perlite), or several grades of orchid mix, depending on what temperature and humidity they should grow in! 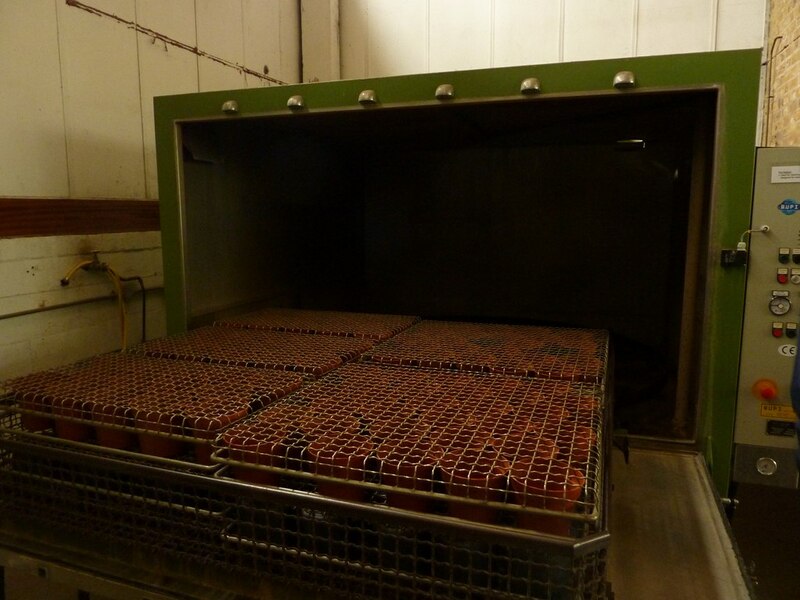 An impressive stock of pots sorted out by sizes, and a special oven used to sterilize hundreds of them at once. 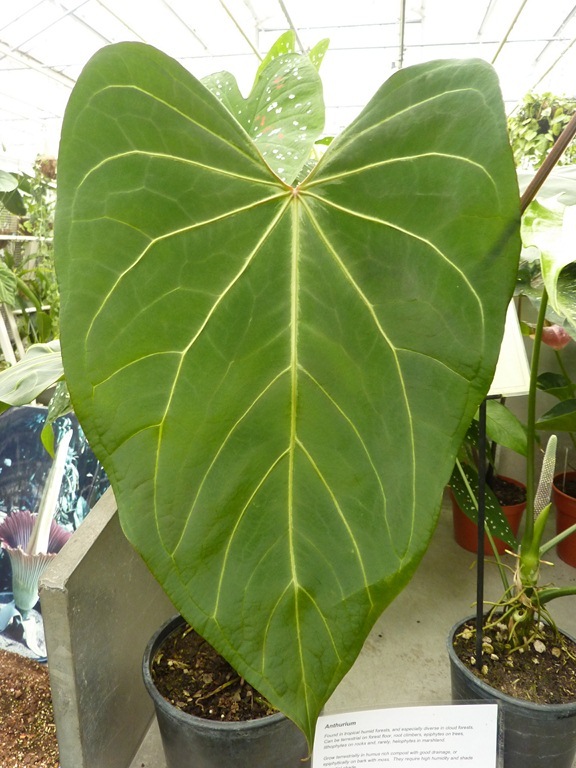 Off to the Aroids, a large family that gives us spectacular plants like this impressive Anthurium with huge leaves, or the well-known Titan Arum, Amorphophallus titanum (more on this bizarre plant here). 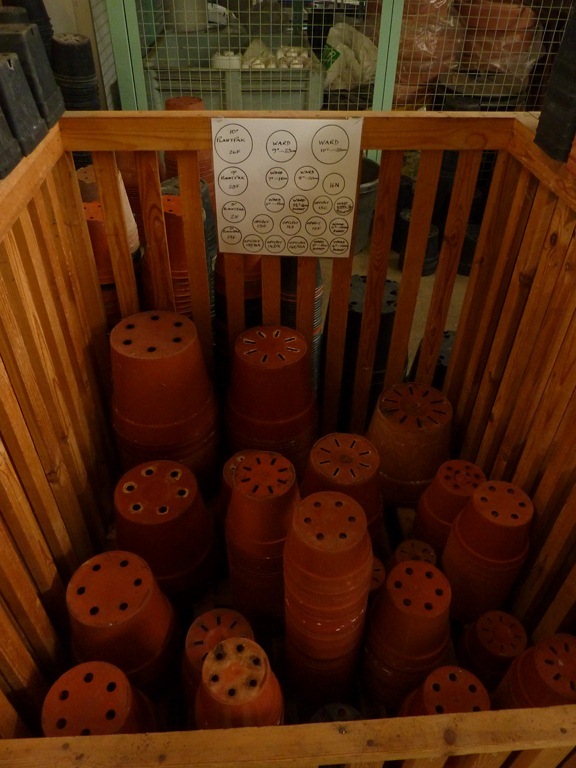 The bulb can weigh up to 75 kg, I let you imagine the size of the pots here! 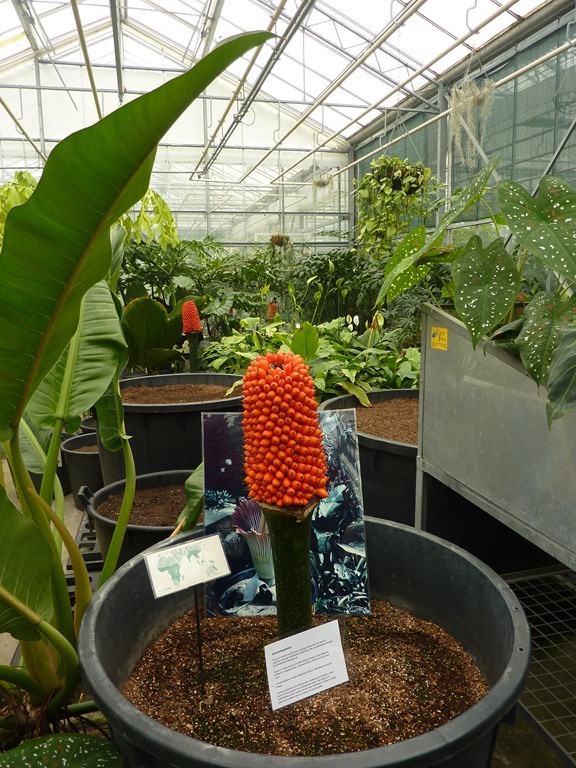 These bright orange berries are the (poisonous) fruits of the arum. 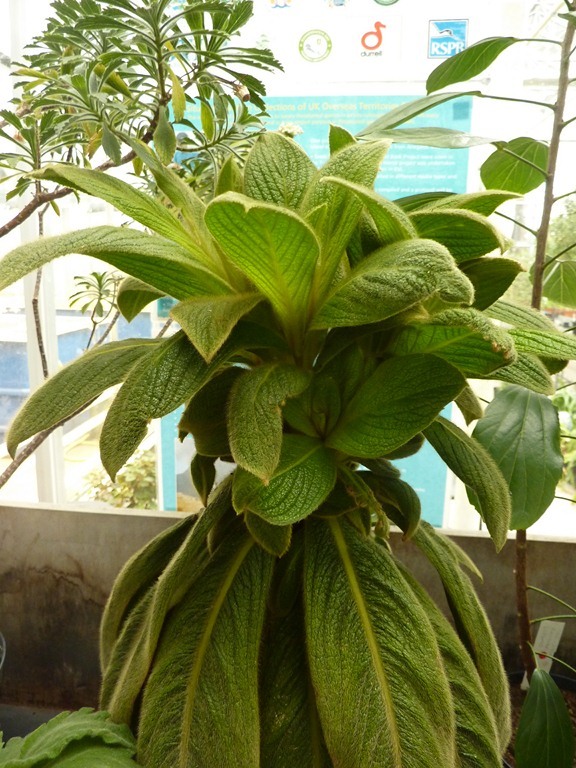 It is endemic to the Indonesian island of Sumatra, and threatened by deforestation. Actually, Kew has a National Collection of Amorphophallus, with many more interesting species! The tour also enabled the visitors to see how science is done in these greenhouses. First stop : pollination. The obvious problem with closed greenhouses is the lack of pollinators, so many plants have to be hand-pollinated by passionate gardeners! One way to harvest pollen uses a surprising instrument….a tuning fork! 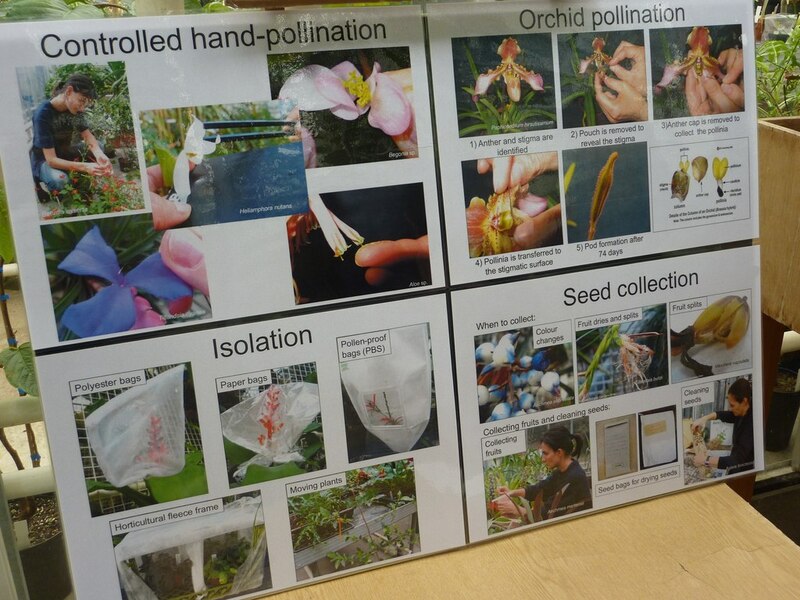 The other pictures on the panel show how orchids are hand pollinated (even more tricky! ), how flowers can be isolated using special bags to avoid pollen transfer (this is useful when you want to collect a specific pollen, or when you want to hybridize plants) and how seeds are collected, cleaned and dried. Before seed collection, plant material is sent to the Herbarium to check the identification. Fruit is collected, seeds are cleaned and dried with silica gel until they reach a humidity level of 15-18%. They are then transfered to foil envelopes and stored in the fridge at 3-5°C (short-term storage). Long-term storage is done in giant freezers, like the ones at Millenium Seedbank. One of the main objectives of Kew is plant conservation through research, publications, education and active conservation programmes. 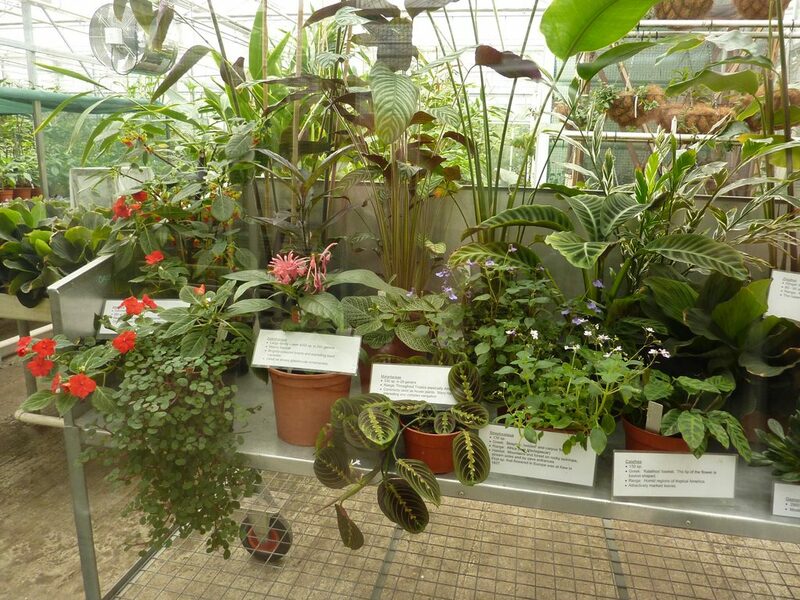 One of the displays showed plants which are critically endangered (CR) or even extinct in the wild (EX)! On the left, this small tree from Jamaica with spiny leaves, Wercklea flavovirens, is critically endangered because of deforestation and conversion to banana plantations. The total population is less than 50 individuals. On the right, the Jellyfish Tree, Medusagyne oppositifolia is another critically endangered plant from Mahé Island, in the Seychelles. It was thought to be extinct from 1903, and was re-discovered in 1970. The tree has a poor regeneration rate, with few seeds produced and there are only 4 small populations left in the wild. 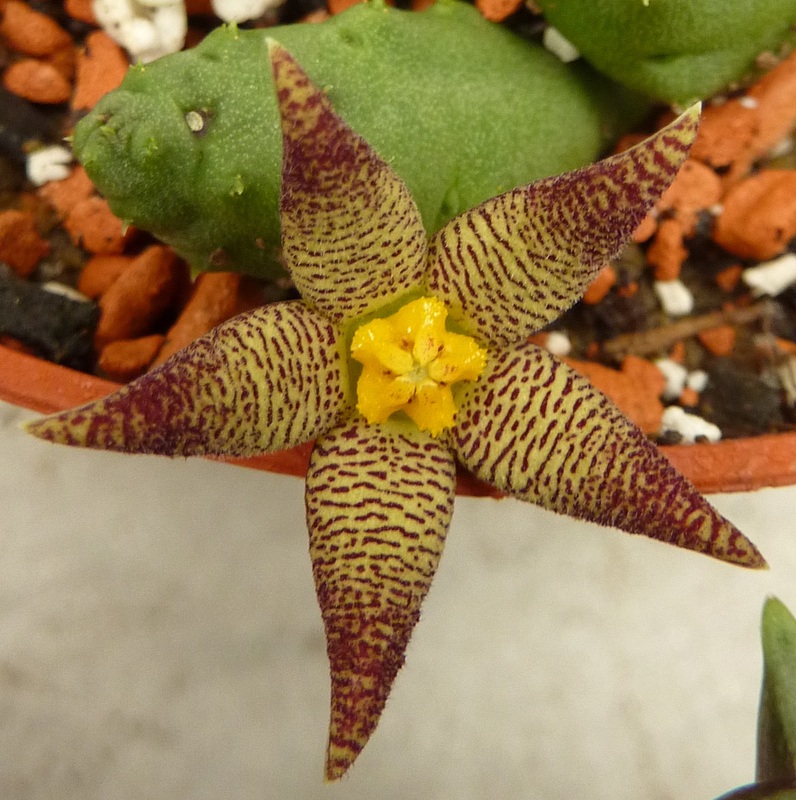 It is the sole representative of its family, the Medusagynaceae, and is thought to be named as such because the pistil and stamens resemble a gorgons head. Even more dramatic examples with this Cylindrocline lorencei, a lovely evergreen shrub from Mauritius extinct in the wild since 1980. 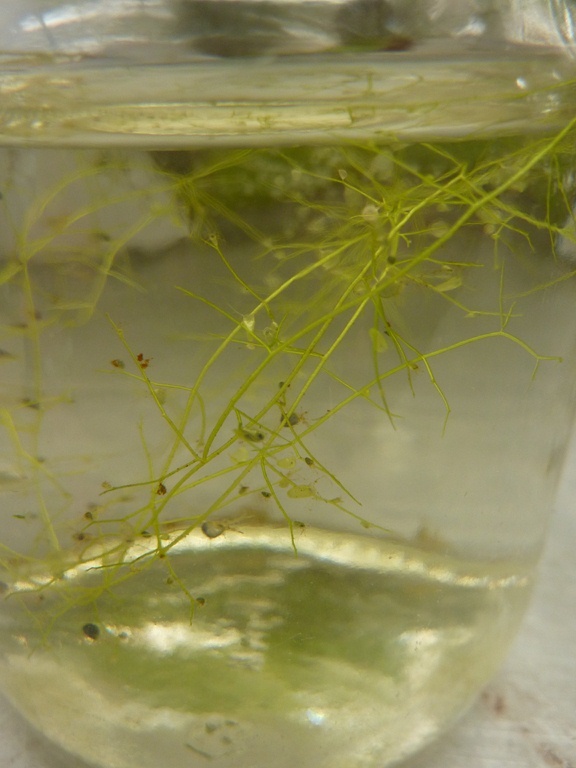 The director of Brest Botanic Garden had managed to save some seeds before the extinction and developed a new in vitro propagation technique. 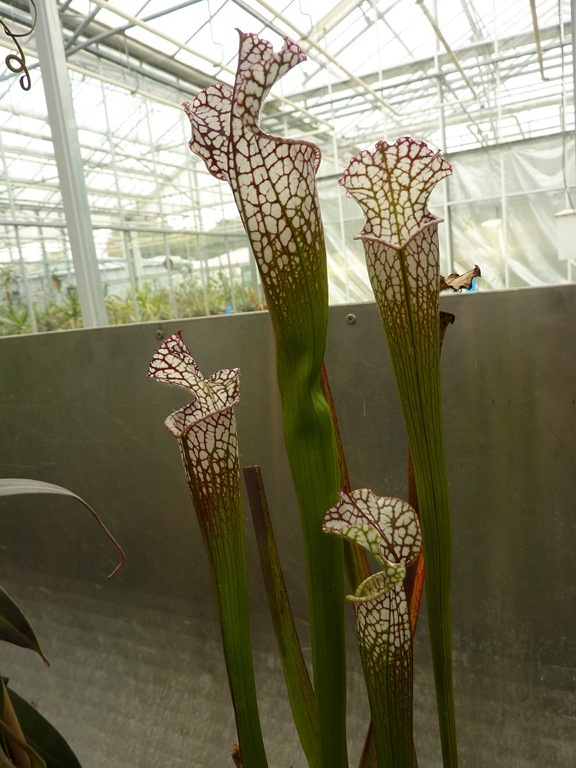 The plant is now propagated at Brest and Kew, with the hope of reintroducing some individuals in the wild. 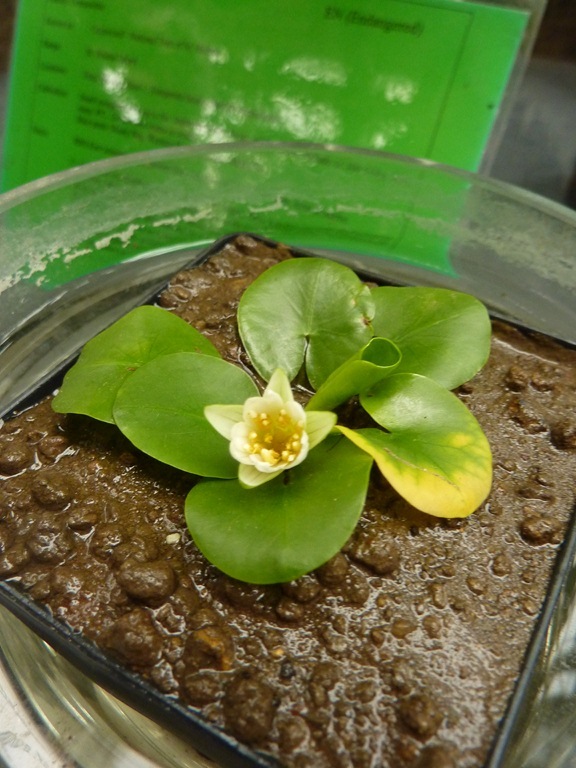 Some of you might recognize this cute little nymphea from David Attenborough recent series “Kingdom of Plants 3D”, which was shot at Kew : it is the world smallest waterlily, Nymphea thermarum. Endemic to a single locality in Rwanda and discovered in 1987, it is now extinct in the wild because of water over-exploitation. 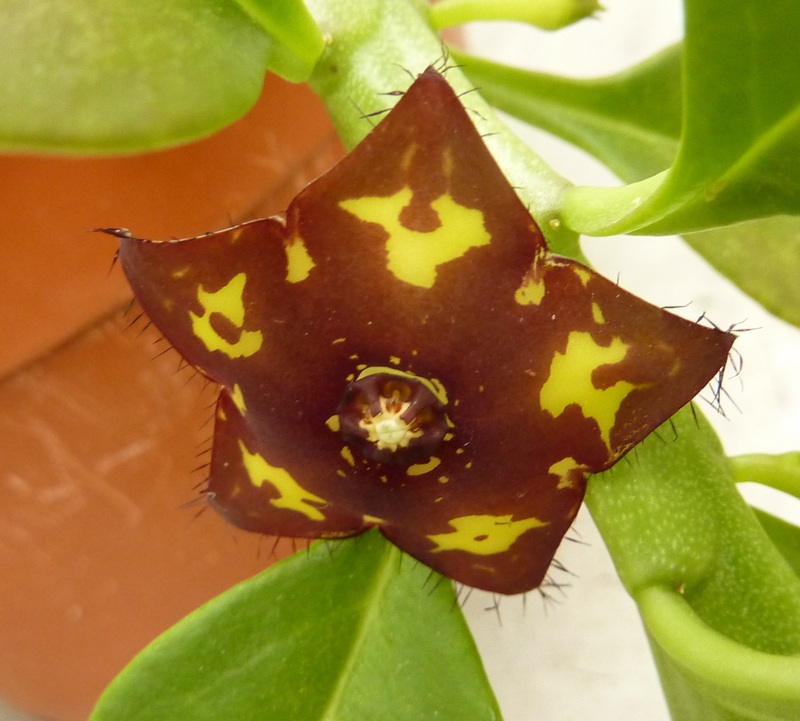 It is propagated at Bonn, Germany and at Kew and could have a potential as an ornamental plant. 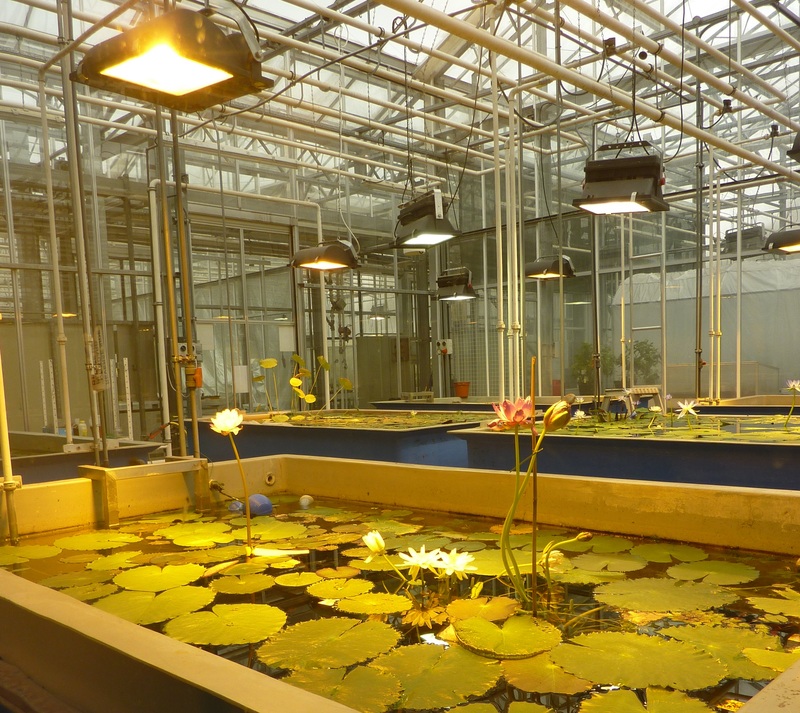 Speaking of waterlilies, a glimpse of the water nursery, with huge tanks, and powerful lamps (many species being tropical, this is not surprising)! 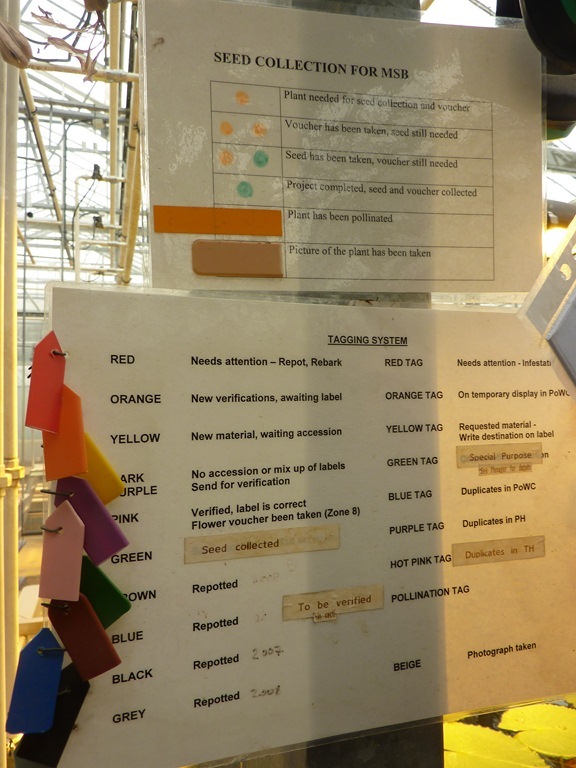 The staff has an interesting system of tagging and labelling for plants, to know precisely what needs to be done with each plant : is the identification correct, does it need to be repotted or sprayed, do seeds need to be collected? 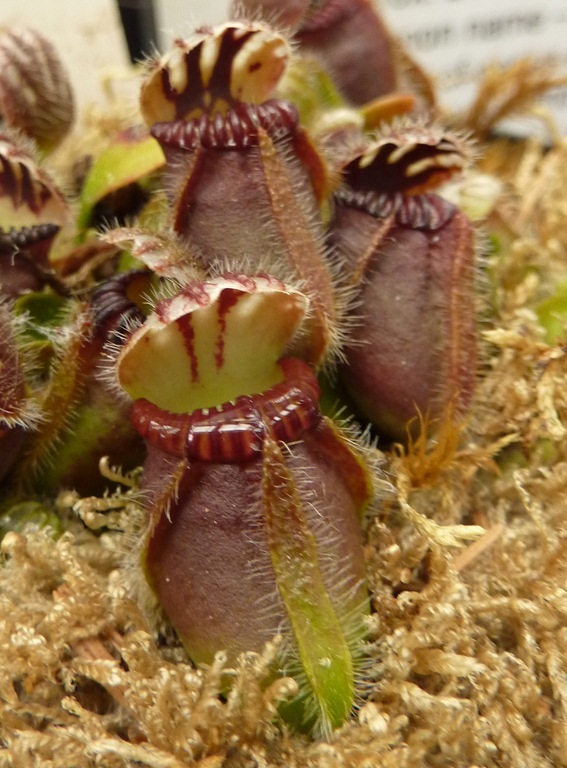 Moving on from water plants, the logical suite is carnivorous plants. 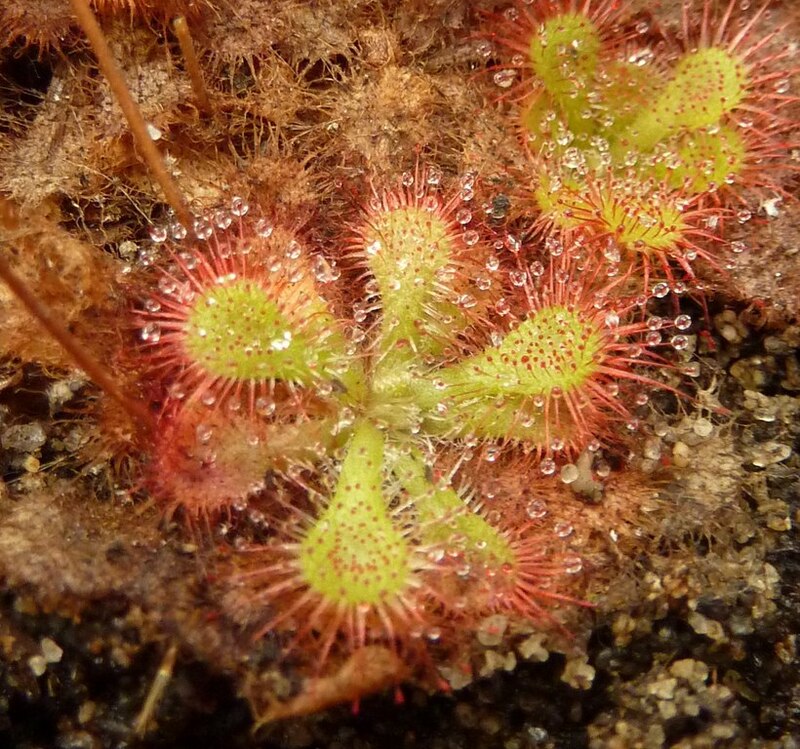 Do you prefer Drosera (sundews) with their sticky droplets, Cephalotus follicularis (the Western Australian Pitcher Plant) with its classy striped pitchers or the discrete Sarracenia (trumpet pitcher, from North America) ? Last stop of this exciting journey into the plant world : cacti and succulents, in other words plants living in deserts and arid places all over the world. 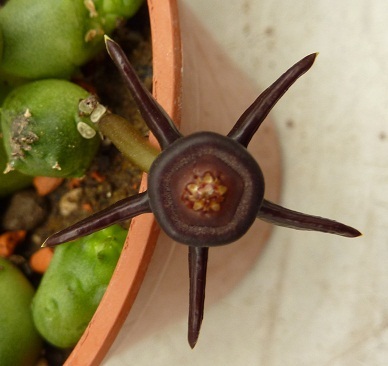 Succulents have fleshy leaves or stems to store water, others like Pelagornium triste (in the back, center of the picture) store water in a caudex (base of the stem that has become woody). 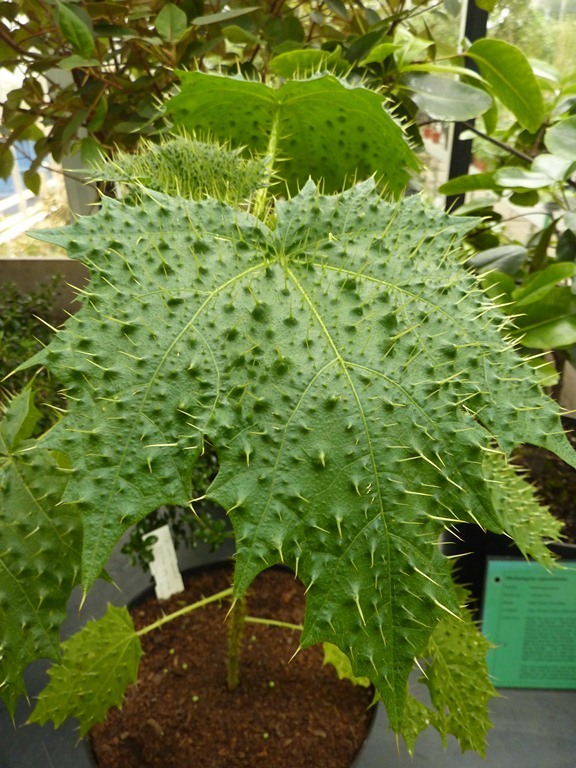 Other strategies used by plants include hairs (to retain humidity), oils and spines (to avoid being eaten, which costs a lot of energy!). I hope you enjoyed the tour…hopefully there might be more events like this one, I’m sure there are many plant and garden enthusiasts who die to know how one of the biggest gardens in the world looks from behind. 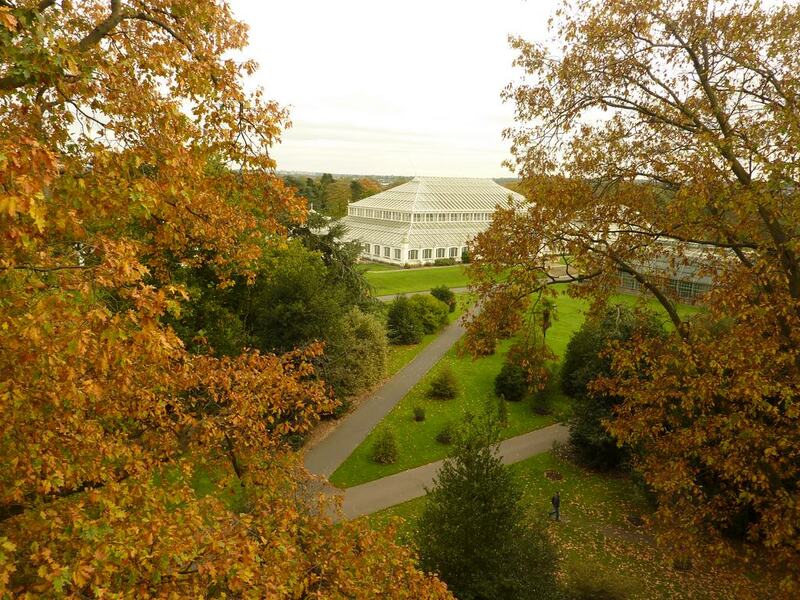 I’ll leave you with a view of the greenhouses…from above this time! Fascinating post! I still need to get to Kew Gardens. Great post. I’m very jealous that you got to do this! Very glad that you shared it with us. What a beautiful and helpful site. A bit far for me to visit–except through your blog!